Texas gubernatorial candidate Wendy Davis has been called many names since she conducted an 11-hour filibuster against the state's restrictive abortion bill SB5, ranging from "hero" and "fashion icon" to "Abortion Barbie." But now, Davis is being called a liar for misstating the timeline of key events in her rags-to-riches life story. She "blurred" some facts of her biography, which paints Davis as a teenage single mother living alone in a trailer until she made it to Harvard and politics, The Dallas Morning News first reported. Her impressive success story is a cornerstone of her campaign to garner funding for the governor's race against likely Republican nominee Greg Abbott. While testifying during a recent federal redistricting lawsuit, Davis said she was 19 years old when was pregnant and divorced from a man named Frank Underwood (no relation to this guy), and living in a mobile home. But in reality, Davis was 21 at the time, and she lived in her family's trailer for only a few months before moving to an apartment with her daughter. Davis was working two jobs when she married Jeff Davis, a lawyer 13 years her senior. He paid for Wendy Davis to finish Texas Christian University and to attend Harvard Law School while he took care of their two daughters. The couple divorced in 2005, with Jeff Davis citing adultery and Wendy ordered to pay child support. "My language should be tighter," Davis said. "I’m learning about using broader, looser language. I need to be more focused on the detail." Conservative news outlets and Twitter users jumped on the revelations, even offering proof of a restraining order that Wendy Davis stay away from drugs and alcohol. "We’re not surprised by Greg Abbott’s campaign attacks on the personal story of my life as a single mother who worked hard to get ahead. But they won’t work, because my story is the story of millions of Texas women who know the strength it takes when you’re young, alone and a mother. I’ve always been open about my life not because my story is unique, but because it isn’t. 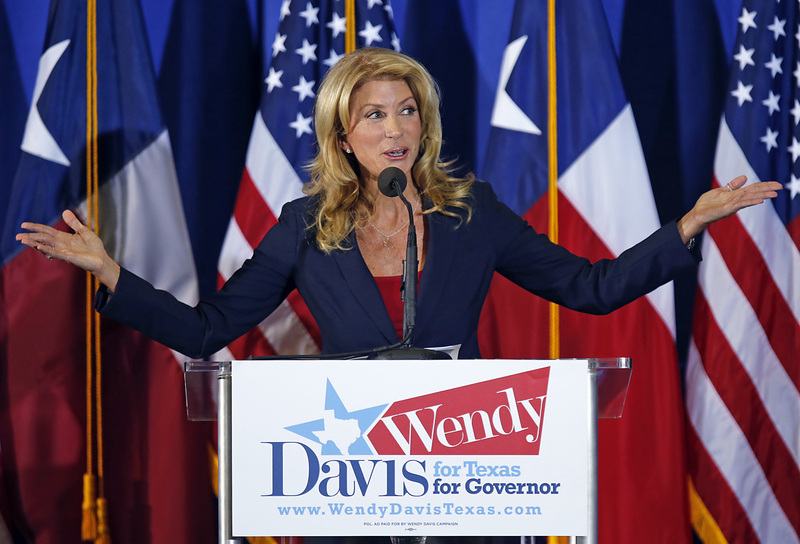 Davis' team has raised $12 million for her campaign, while Abbott has about $27 million under his belt. A November poll puts Abbott slightly ahead of Davis, 40 percent to 34 percent, with 25 percent still undecided.